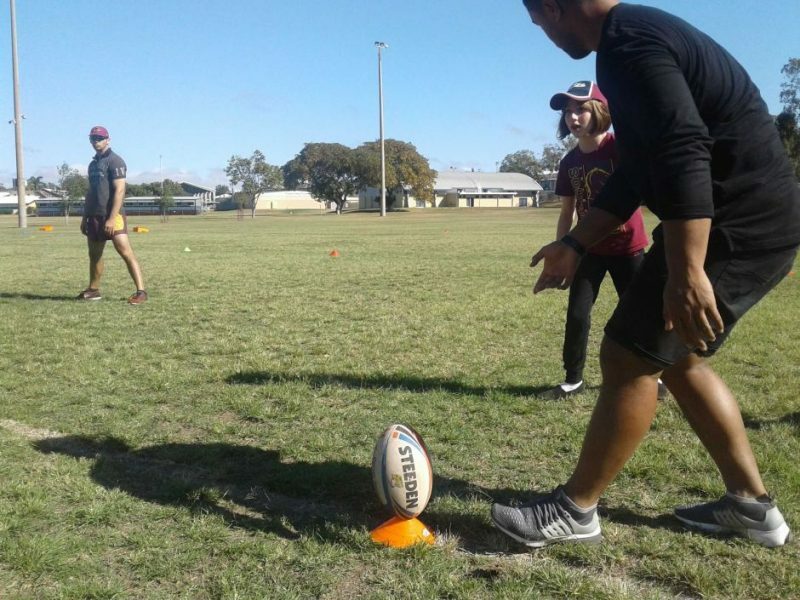 Central Queensland Capras rugby league players are finding a life away from the football field by working as disability support carers for the Endeavour Foundation. 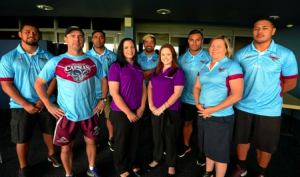 The partnership has provided jobs for the local rugby league players, as well as help the service prepare for the rollout of the National Disability Insurance Scheme. 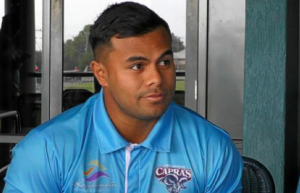 Around half a dozen Capras players have taken up work with Endeavour, lending a hand outside club commitments during the busy season, including star players such as John Filipo, Ken Tofilo and Junior Kirisome. Previously most of the players were doing physically demanding work such as labouring, which often could wear them out ahead of training sessions after a full day’s work. John Filipo say it’s nice to finally have a job they enjoy and which has the flexibility they need. “Endeavour has been pretty good, they work around our training schedules,” Filipo says. “We only do it for a certain amount of hours, just imagine you know these families that have had to do it throughout their whole lives, so it’s pretty good that we can help them out. It’s really rewarding. Coach Kim Williams says at this level of competition, the players are balancing outside employment with nine to 12 hours of training a week, as well as club commitments all weekend. He believes taking on these carer roles has been character building for the boys. “It’s very much about them finding balance in their lives, and getting some fulfilment outside footy as well,” Williams says. “I think this is a really rewarding line of work for them, and it helps them get a bit of perspective on their own lives and appreciate the things they’ve got. Capras player Junior Kirisome says they want to encourage other local teams to follow suit. “This job was more something that I love to do which was helping out the community,” Kirisome says. For Endeavour and the players the benefits flow both ways. Not only does the program focus on youth development but the clients they are taking care of get as much out of it as the players do. Partnering with the football club has not only created a special bond within the community, but seeing young people with disability relate to people their own age has really helped the program thrive. Players also have a lot of fun at work and say its rewarding when their kids show their support at local games. Kylie Lloyd from the Endeavour Foundation in Rockhampton, says the Capras players have been a welcome addition to their ranks. “It is really good having fit, active, enthusiastic employees, and they fit really, really well, they’re a team of fun individuals, and have great people skills,” Ms Lloyd says. Ms Lloyd and Capras Coach Kim Williams plan to continue the partnership into 2018, allowing more players the opportunity to work for both Endeavour and other similar service providers. “One of the challenges for the Capras is employment, so we have spoken about how we can help with induction, we can help with training,” Ms Lloyd says. The program comes ahead of the National Disability Insurance Scheme which is set to roll out in central Queensland from November. Ms Lloyd says they need to ensure they have a good mix of support workers ready to respond to the changing nature of disability services. “People are going to be thinking outside the box on what support is for them, so we need a whole range of skilled people in different areas to be able to support those people,” she says. Capras coach Kim Williams says it is also a chance for their players to build skills for their career after rugby league. “Far too often we see the consequences of the guys putting all their eggs in one basket in whatever sport it might be,” he says. Project Open Doors is an initiative of Griffith University’s Journalism Program to effect change in the way people living with disabilities, their families, carers and support workers are represented in the media, and to develop a body of media reporting about issues affecting the disability sector in conjunction with people living with disability.